If you have never made granola at home, you definitely should. 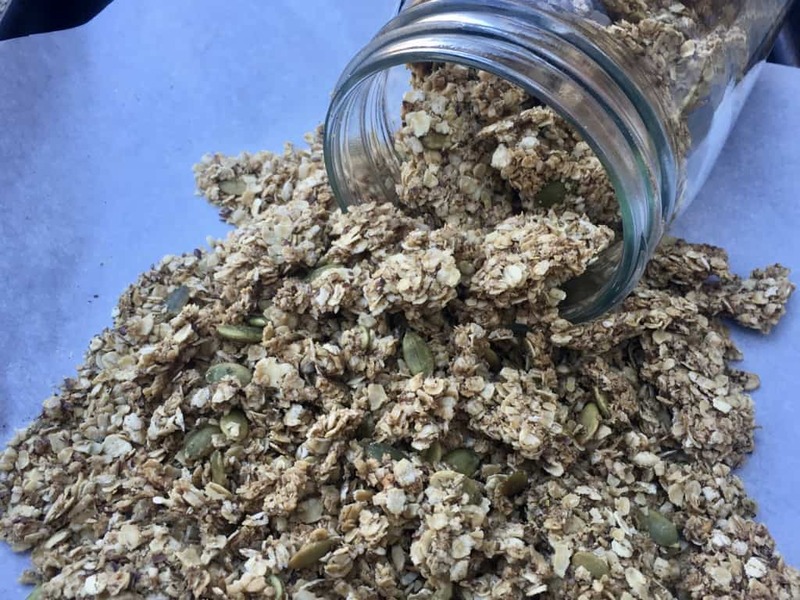 There are things that I think are cost effective enough to make at home and other things that I don’t, but this easy granola is one of those recipes that is just too simple and delicious not to make at home. It only takes a few minutes to measure out the ingredients and stir them together, and then the oven does the rest. Plus when you make your own granola at home, you get the benefit of your home smelling amazing while you are waiting for it to bake. 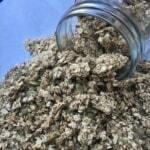 Granola in the store can be very expensive, costing over five or six dollars for a small bag. This granola can be made so inexpensively and customized to fit your family’s preferences as far as taste and dietary needs. 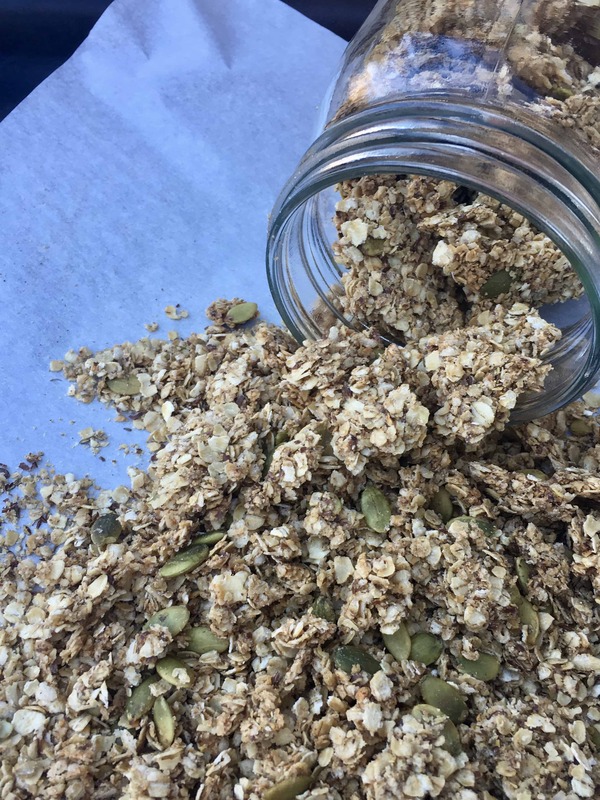 You can add coconut, chopped nuts, dried fruit, seeds, and more to fancy it up a bit, but this basic easy granola is what I stick to most often. It is great for a snack by itself, to put on top of yogurt, or as a substitute to cereal. It also makes a great gift for a teacher or a hostess. It’s definitely a good recipe to have tucked away in your arsenal of tried and true list. Easy granola with the perfect amount of sweetness. Add olive oil, water, and maple syrup and stir until well combined and mixture is slightly wet. Spread evenly on a parchment lined 9x13 bar pan or baking sheet. Bake at 250 degrees F for 1 hour. Let cool completely and break into pieces. I like to leave some bigger chunks. Store in airtight container.